If you thought bedbugs were a thing of the past, think again. Despite their domestic name, public places are not exempt from these creepy crawlers. In fact, bedbugs may make their way into your home by hitching a ride from unexpected locations. For those in New Hyde Park, NY, a trusted exterminator with the tools to get rid of these pesky critters is right around the corner at Inside Out Exterminating. Since 2002, these experts have provided dedicated, reliable pest control service. Public Transportation: If you’ve ever taken public transportation, you’ve probably witnessed many kinds of filth. Unfortunately, passengers may be carrying bedbugs without even knowing. 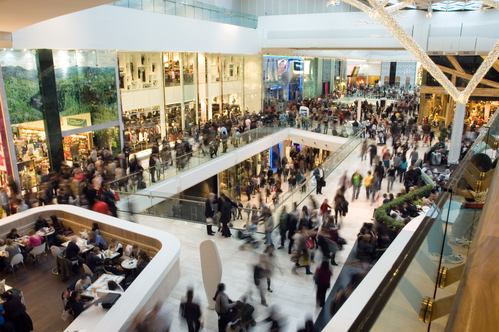 Shopping Malls: The hustle and bustle of the holiday season bring countless shoppers to retail stores. Whether you’re trying on clothes or shopping around for new appliances, bedbugs can easily hide out in nooks and crannies, waiting to travel home with an unsuspecting shopper. Movie Theaters: Thinking of catching a flick? You may end up coming home with more than leftover concession candy. With large audiences and upholstered chairs, movie theaters set the perfect scene for bedbugs to find a new human host. Business Offices: As much as you may try to separate your professional and personal lives, bed bugs can create an unwanted connection between the two. With different faces arriving and departing daily and numerous outside materials coming indoors, bedbugs can easily become stowaways by the end of the average work day. Community Laundry Facilities: Although it seems like a place of cleanliness and order, a communal laundry facility can be infested with bedbugs. To avoid including a family of these critters in your fluff and fold, inspect your machines before use and set them to high heat. Pest control is no easy feat, but professionals who are well-versed in the ways of bedbug removal can complete exterminations quickly and safely. If you reside in NYC or Long Island, call Inside Out Exterminating in New Hyde Park, NY, at (516) 641-0595, or visit the website today.